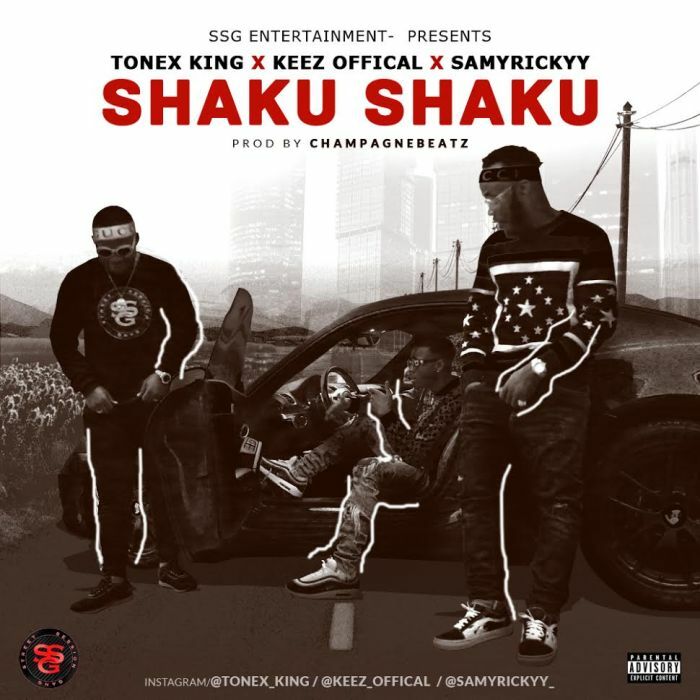 Download this latest music Mp3 titled ''Shaku Shaku'' By Tonex King X Keez Official X Samyrickyy, Shaku Shaku is a banger. Click the below link to download and listen to Shaku Shaku. SSG Entertainment presents 3 rising musical artists Keez Official – Olaoluwa Adisa Omotayo Tonex King – Damian Tony Chijiuba- SamyRichie– Damian Samuel Chukuwma, this guys are on top of their game in Nigeria music industry. However this artiste doesn’t seems to slow down and this shines through on this new hit titled Shaku Shaku top-notch absolutely quality stuff, produced by Champagnebeatz.